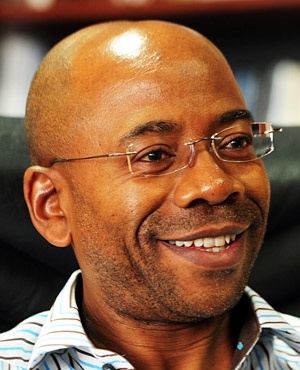 The debate around nationalising and changing the mandate of the SA Reserve Bank must stop,` as it does not send a positive message to markets about the future of the country, according to Bonang Mohale, the chief executive of Business Leadership South Africa. Mohale, who heads up the lobby group made up of 80 CEOs of the country’s largest businesses, said on Friday that polarising political debate about the independence of the central bank could be harmful to the economy. Speaking to Fin24, Mohale said BLSA was however encouraged by President Cyril Ramaphosa’s statement on Wednesday that the independence of the bank that was founded in 1921 was “sacrosanct”. “The talk about changing the mandate of the bank is obviously being watched closely by the markets, and that is not helping us. Right now, we are busy sending mixed signals to the world,” he said. The ANC, in its recent election manifesto, had called for the bank to adopt a more "flexible monetary policy regime", taking into account other objectives such as employment creation and economic growth. The party had previously also called for the bank to be fully nationalised by doing away with its private shareholders. “Tweaking the mandate of the bank won’t help the question of policy certainty that often comes up about our economy. The bank is currently living up to its mandate and there is no need to tamper with its independence,” said Mohale. Mohale said the debate was like cutting off the nose to spite the face. “We are emboldened by the recent utterances by Ramaphosa on the matter and hope they will clear the confusion which is now dominated by populist politics,” he said. With 650 private shareholders, the Reserve Bank is one of the few in the world with shareholders other than the state. Seven countries with a similar structure are Belgium, Greece, Italy, Japan, Switzerland, Turkey and the US, according to the information on the bank’s website. During his repo rate announcement on Thursday, Reserve Bank Governor Lesetja Kganyago said changing the bank's mandate would mean changing the Constitution. "The independent central bank is one of the constitutional principles that underpinned the writing of the Constitution. When you talk about changing the mandate of the Reserve Bank, you are then talking about changing the Constitution." It is still to be seen whether Ramaphosa's assurances on the complete independence of the bank would gain broad support within the ANC.